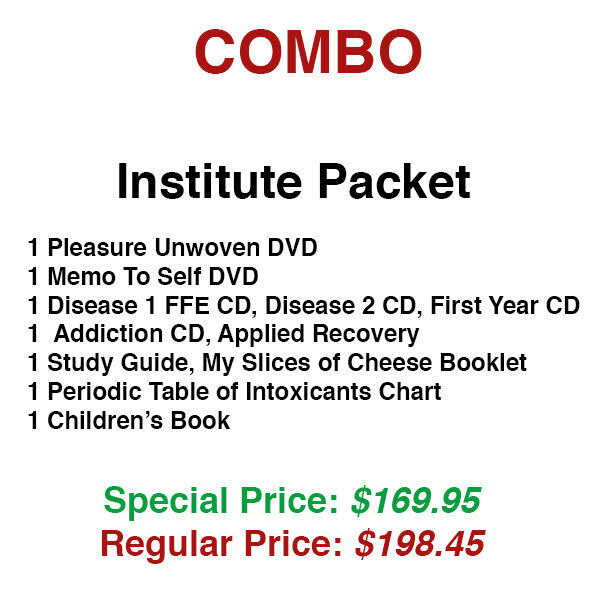 This package includes one Pleasure Unwoven and Memo to Self DVD. 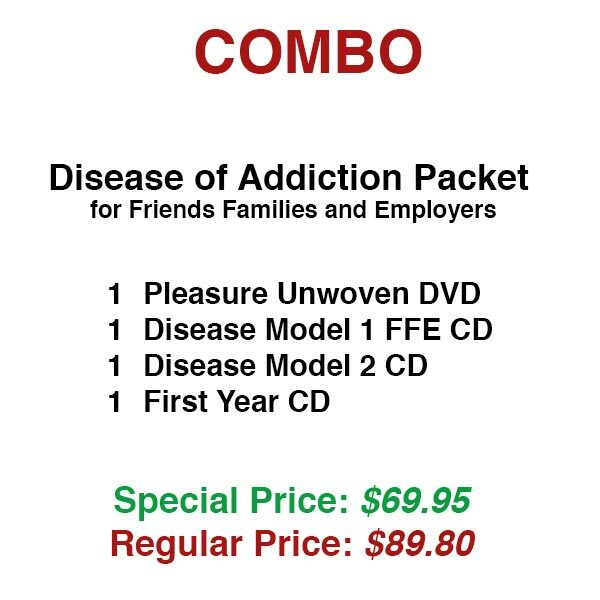 You will also receive one Disease 1 and 2 CD. 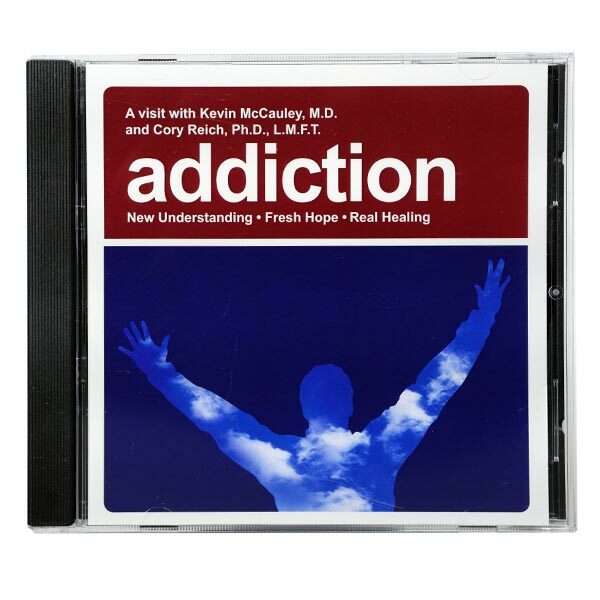 Also included are our First Year CD and Addiction CD. 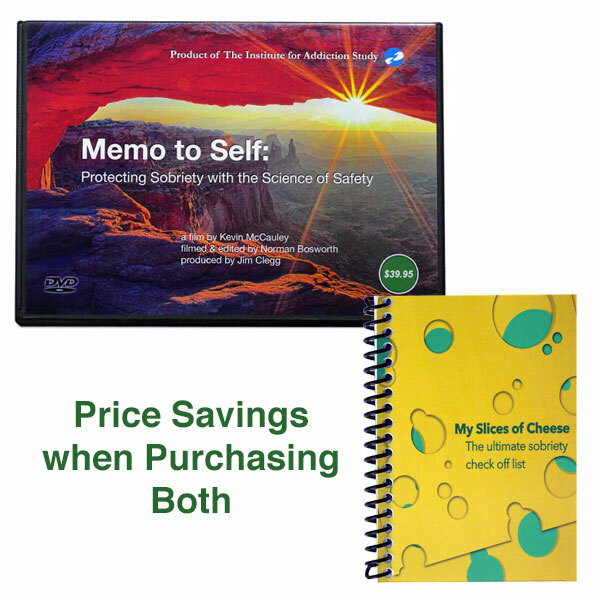 Print material included with this package includes one Applied Recovery book, one Addiction book, one Study Guide, one My Slices of Cheese booklet and one Periodic Table of the Intoxicants chart.